The Graduate Program in Communication at Texas A&M International University seeks submissions for its second annual research conference in March 2017. Leveraging the university’s location on the US-Mexico border and faculty expertise in international and intercultural communication, this program aims to strengthen research on the cultural, political, and economic factors shaping the globalization of communication processes in Latin America. As an integral component of this new endeavor, we invite submissions for paper presentations from faculty, scholars, and graduate students working in any area of communication research concerning Latin America or the US/Mexico border. Please send paper proposals with titles, name of author, institutional affiliation and category (Faculty, Graduate Student, Senior Undergraduate student) and 300-word abstracts to mco@tamiu.edu by February 27, 2017 for consideration for inclusion in the conference. Carlos Muñiz Muriel is a Professor at the Faculty of Political Science and Public Administration of the Universidad Autónoma de Nuevo Leon (Monterrey, Mexico), Coordinator of the Political Communication Laboratory (LACOP) and leader of the Research Group of Political Communication, Public Opinion and Social Capital. Muñiz is a member of the National System of Researchers of Mexico since 2010, recognized by CONACYT as level II. His main research lines focus on media effects analysis, communicative practices impact on political attitudes, media framing, and the study of the media portrayals of minorities. Muñiz is member of several editorial boards of scientific journals, such as the Revista Mexicana de Opinión Pública (Mexico), Palabra Clave (Colombia), Comunicar (Spain), Perspectivas de la Comunicación (Chile), Anagramas (Colombia), Global Media Journal Mexico, and Cuadernos de la Información (Chile). He is the author or coauthor of over 100 publications in national and international scientific journals and books. He has edited three books: Media and Prejudice toward Indigenous, Communication, Politics and Citizenship, and Media, Immigration and Society. He has directed several research projects funded by CONACYT, PROMEP, UANL and the Ministry of Education and Science of Spain. Sallie Hughes is an Associate Professor of Journalism and Latin American Studies in the University of Miami. Dr. Hughes is an inter-disciplinary communications scholar with a specialization in Latin America, the Caribbean and their Diasporas. Her research interests are in Journalism Studies and Democratization in Latin America as well as Immigrant Audience Reception in the United States. She is the co-author of the book Making a Life in Multi-Ethnic Miami: Immigration and the Rise of a Global City (Lynne Rienner Publishers: Latino Studies Series, 2014) and author of Newsrooms in Conflict: Journalism and the Democratization of Mexico (University of Pittsburgh Press: Latin America Series, 2006). Her first book was recognized by AEJMC as a top book in mass communication for 2006. The Political Communication and Ethnicity and Race in Communication divisions of the International Communication Association recognized her work with best paper awards, in 2003 and 2013 respectively. 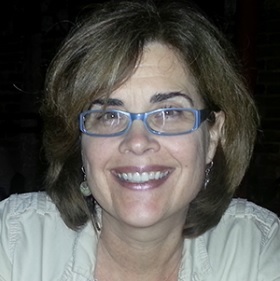 She recently joined the editorial board of the International Journal of Press/Politics and is the program track chair for Mass Media and Popular Culture for the 2014 Congress of the Latin American Studies Association, of which she has been a member since 1998. 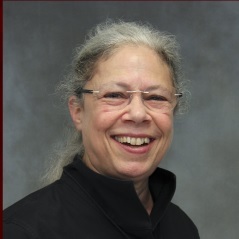 Sandra Braman is an Abbott Professor of Liberal Arts and Professor of Communication in Texas A&M University. Dr. Braman’s research has been supported by grants from the US National Science Foundation, Ford Foundation, Rockefeller Foundation, Soros Foundation, and the First Amendment Fund. Braman’s book Change of State: Information, Policy, and Power, currently undergoing revision for a second edition, is in use around the world and is widely viewed as having defined the field of information policy. Other publications include the edited volumes Communication Researchers and Policy-Making, The Emergent Global Information Policy Regime, and Biotechnology and Communication: The Meta-Technologies of Information and over 100 refereed journal articles and book chapters. Braman created and launched the first graduate (postgraduate) program in telecommunications and information policy on the African continent while serving as Director and Visiting Professor at the University of South Africa. She has also served in the invited positions of Freedom of Expression Professor at the University of Bergen (Norway), Fulbright Senior Scholar at Södertörn University (Sweden), and Visiting Professor at the Federal University of Rio de Janeiro (Brazil). She is former Chair of the Communication Law and Policy Division of the International Communication Association, former Chair of the Law Section of the International Association of Media and Communication Research, and sits on the editorial boards of nine scholarly journals. In 2014 Braman was inducted as a Fellow of the International Communication Association. 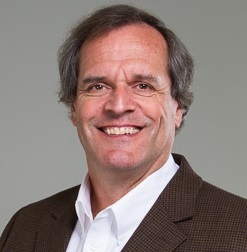 Kent Wilkinson is a Professor and Director for the Harris Institute for Hispanic and International Communication - Journalism & Electronic Media in Texas Tech University. He has been a Visiting professor at University of Navarra (Pamplona, Spain) and University of Paris II (French Institute of the Press). Dr. Wilkinson’s research focuses on international communication, Hispanic-oriented media in the U.S., and Hispanic health communication. He studies how language, culture and economics interact in national, regional and global media markets. Recent publications examine the historical development of Spanish-language television in the U.S., promoting healthy diets among Hispanics in rural West Texas, and cross-national studies of 2012 U.S. presidential election coverage as well as uses and gratifications young adults derive from their smartphones. Dr. Wilkinson is a Thomas Jay Harris Regents Professor in Hispanic and International Communication, Fulbright Fellow at Universidad de los Andes in Santiago, Chile 2016, and Editor of The International Journal of Hispanic Media. He has published Spanish-Language Television in the United States; he is the co-editor of Mass Media and Free Trade: NAFTA and the Cultural Industries, Communication Technology Update 1993-1994, and the chapter “Press Coverage of the 2012 U.S. Presidential Election: A Multinational, Cross-Language Comparison”. Rodrigo Gómez is a full time Senior Lecturer in Universidad Autónoma Metropolitana- Cuajimalpa, he coordinates the Observatory of Cultural Industries, Policies and Cultural Consumption in Mexico. He received founding from the Canadian Embassy to develop the research “Cultural Industries and Cultural Policy in Mexico and Canada: 13 years of NAFTA” by the Faculty Research Program in 2008. Gómez has been coordinating the section of Political Economy of Communication and Culture in the Mexican Association Communication Research (AMIC) since 2005 and he is co-chair of the Political Economy Section in the International Association of Media and Communication Research (IAMCR) since 2009. He is the former president of the Mexican Association of Communication Research (AMIC) 2007-2009. Gómez is in the editorial board of Comunicación y Sociedad (México), Revista Mexicana de Comunicación (México), International Journal of Digital Television (UK), Communication, Culture and Critique (USA-ICA), and Journal of Political Economy of Communication (NZ-IAMCR). He has over 30 journal articles and book chapters in international publications, and edited the book Global Media Giants (2016). El programa de Maestría en Comunicación de Texas A&M International University abre la presente convocatoria para participar en su segundo encuentro académico a realizarse los días 24-25 de marzo de 2017 en la ciudad de Laredo, Texas, Estados Unidos. Tomando como punto de partida la ubicación de la universidad en la frontera entre México y Estados Unidos y la especialización en temas de comunicación internacional e intercultural de su programa de estudios, este programa de posgrado se enfoca en promover y consolidar la investigación sobre los factores culturales, políticos y económicos que conforman la globalización de los procesos comunicativos en Latinoamérica. Como componente integral de esta nueva iniciativa, invitamos a profesores, académicos, estudiantes de posgrado y aquellos que se encuentren cursando sus últimos años de licenciatura a participar como ponentes con temas relativos a cualquier área de la comunicación dirigida a Latinoamérica o la frontera México-Estadounidense. La relación entre consumismo, neoliberalismo y ciudadanía en Latinoamérica. El impacto de las representaciones mediáticas en la identidad cultural en la región fronteriza México-Estadounidense. Representaciones o percepción de latinas/os y o latinoamericanos en la televisión estadounidense, cine o noticieros. La exportación de formatos televisivos de Latinoamérica e importación de formatos extranjeros hacia Latinoamérica. El papel de los medios digitales para crear y expandir redes alternativas y activistas en Latinoamérica. Historias alternativas o activistas en México, Colombia, Brasil, u otras áreas. Medios y asuntos de derechos humanos (que incluyen temas de seguridad pública y violencia periodística). La relación político-económica entre gobiernos nacionales e industrias culturales. Nuevas interrogantes o planteamientos de viejas teorías de comunicación internacional incluyendo modernización, imperialismo mediático y proximidad cultural. Nuevos planteamientos sobre investigación de audiencias y análisis. Las mesas de trabajo se organizarán de acuerdo a los temas de las ponencias sin importar el idioma en el que serán presentadas, para promover la interacción entre académicos y estudiantes de posgrado de ambos países. Favor de mandar propuestas de ponencia con título, nombre del autor, afiliación institucional, categoría (profesor, estudiante de posgrado, estudiante de últimos semestres de licenciatura) y un resumen de hasta 300 palabras a mco@tamiu.edu antes del 27 de febrero para ser consideradas. Información general sobre el encuentro será proporcionada más adelante vía correo electrónico y una página web. Latina American Audiovisual Interactions. Some Ideas From the Global South"